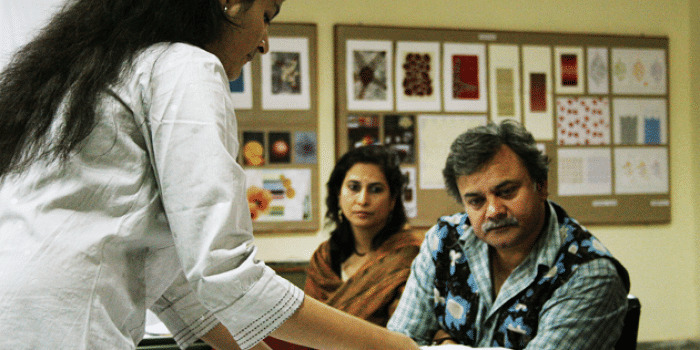 Indian Institute of Crafts & Design (IICD), Jaipur was established as an autonomous institute by the Government of Rajasthan in the year 1995 to act as a catalyst of change in the craft sector. Since October 2007, the Institute is being funded and managed by Ambuja Educational Institute (AEI) under the Public Private Partnership (PPP) model. It is a unique institution that is synergizing traditional knowledge and skills with contemporary needs to evolve methodologies that are relevant to modern India. Conceived as a nodal centre for excellence in Craft and Design it has programs in Education, Training & Outreach, Research and Documentation and Advisory & Consultancy services. The objective of the college is to generate requisite knowledge, to upgrade relevant skills and to foster right attitudes in order to develop high quality. The Institute offers Under Graduate (UG) and Post Graduate (PG) Diploma Programmes and other Certificate Programmes in different specializations of Craft Design.